Aloha! Have you ever been to Hawaii? I just returned from my first trip there - a two week vacation on the island of Oahu, visiting relatives and friends and enjoying the ocean, mountains and island culture. We also took a side trip to the Big Island to see the volcanoes. 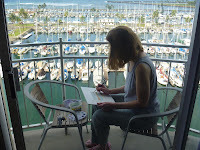 Fortunately, for me, the condo we rented on Oahu was overlooking the Ilikai Marina and we could look right down on the boats in the marina below, Waikiki Beach to the left and Ala Moana Park to the right as well as a beautiful view of Honolulu. 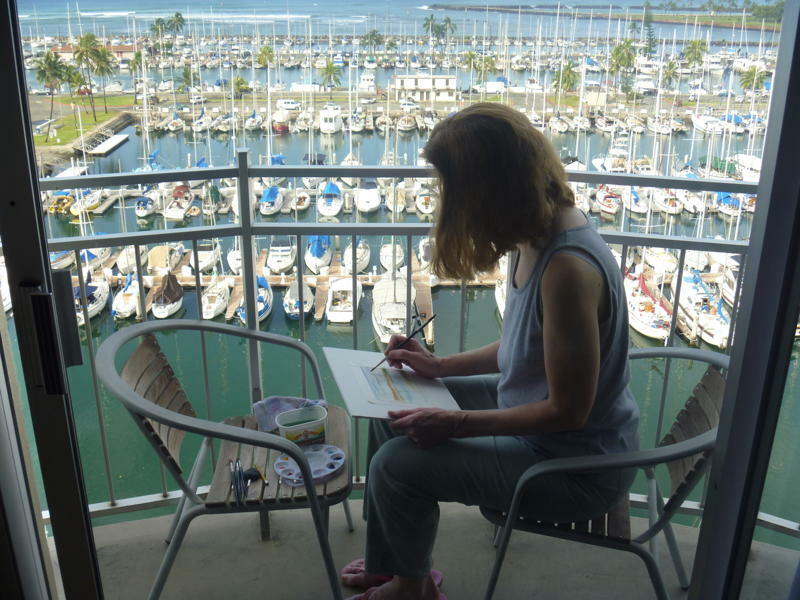 Almost every morning, I sat on the lanai (which was an 11th floor balcony) and painted. Other times I brought my small palette, paints and brushes with me to paint on site. I took over 800 photographs to use for future reference. The12 paintings I did on site appear in the video below along with some of my photos. I've put together this short video to share my island experience with you. 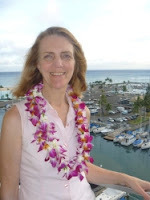 Turn up the volume to hear Kendra Springer's relaxing music and sit back to enjoy the loveliness of Hawaii. Then let me know what you think. Mahalo!